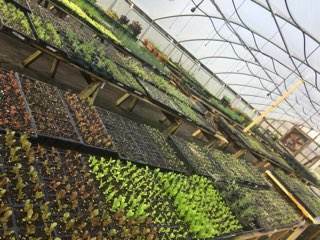 We thought we would blog about some of the things we are excited about in our Greenhouse. We start all of our seeds in the greenhouse and keep as much as we can, like Herbs and Lettuces, throughout the winter. We've gotten our first of 3 veggie fields tilled and we've started our flowers for a Perennial Bed this year! We've started Cabbages, Kohl Rabi, Beets, Peppers, Tomatoes, Eggplant, and many more to come! Looking forward to a very fruitful season and we hope you enjoy! 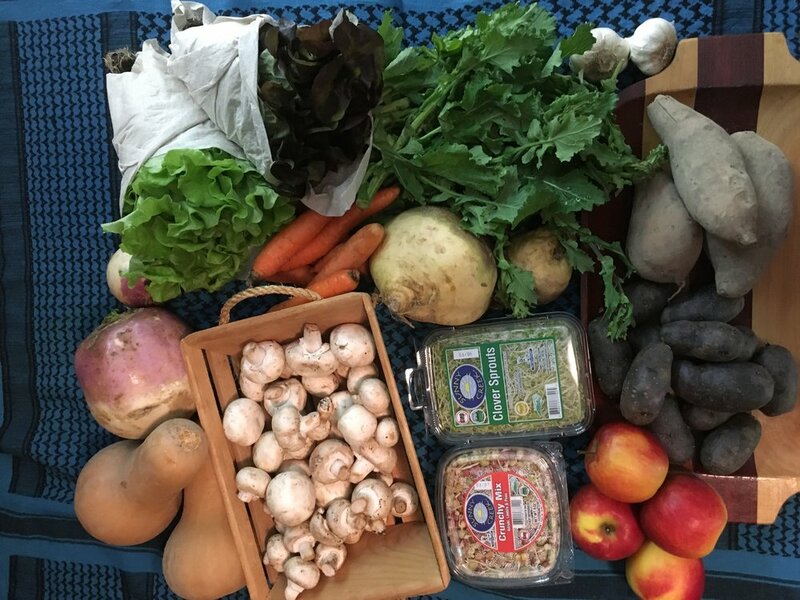 This week we have...Butternut Squash, Turnips, Rutabagas, Sweet Potatoes, Blue Adirondack Potatoes, Carrots, Crimson Crisp Apples, Broccoli Raab, Spring Mix Lettuces, White Button Mushrooms, and two kinds of sprouts; Crunchy Pea Mix Sprouts & Clover Sprouts ...don't forget the Garlic! Our Bread Shares Change each week! 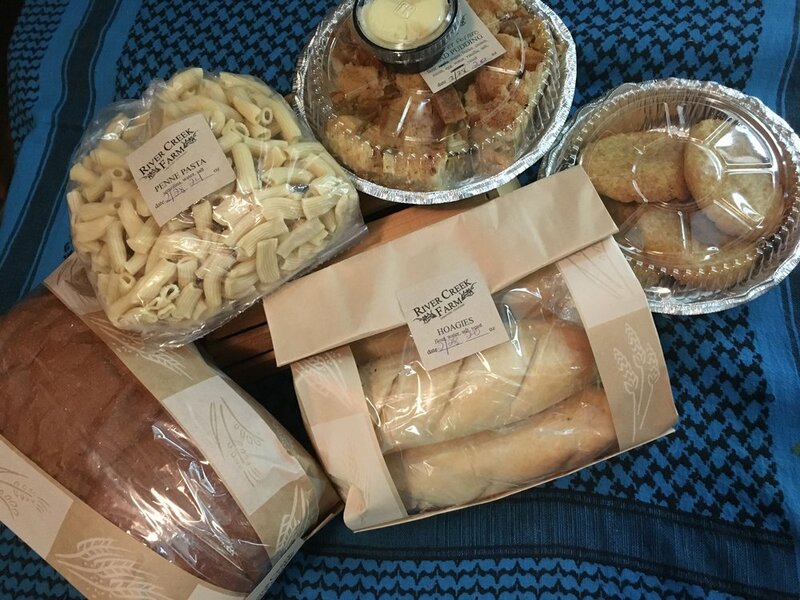 This week we have Honey Wheat Loaves, Hoagies, Penne Pasta, and either Sweet Potato Bread Pudding or Snickerdoodles for a sweet treat!